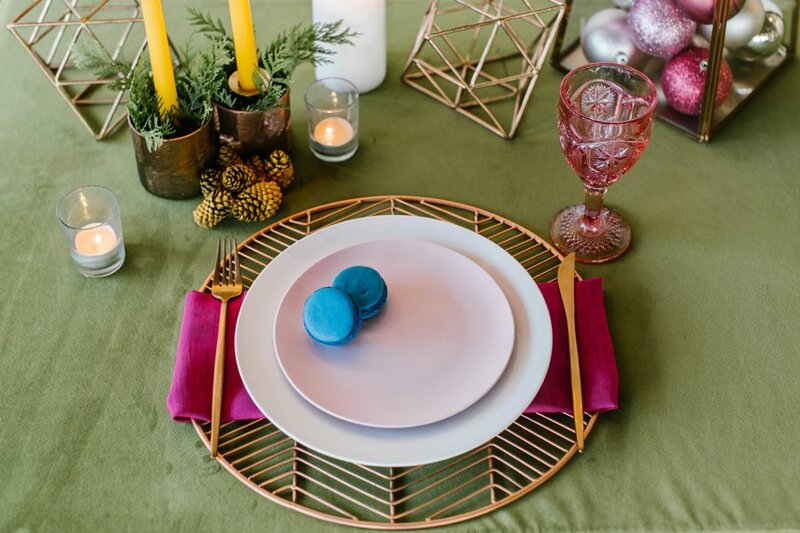 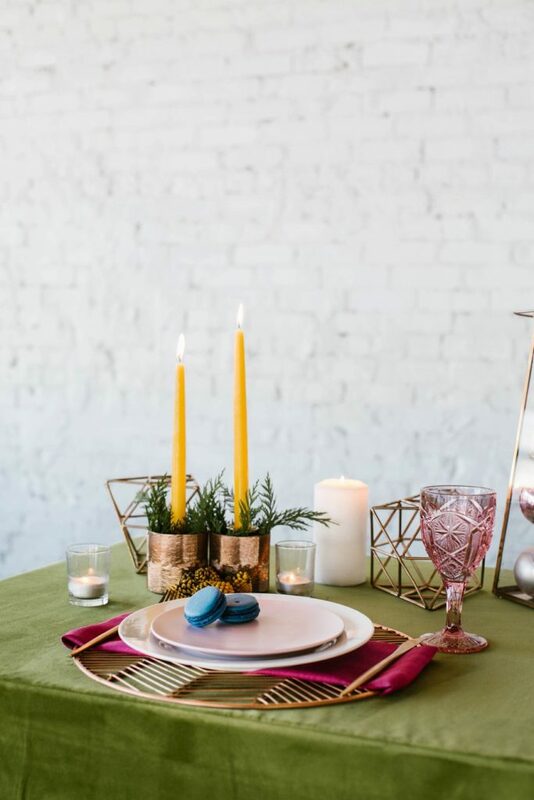 A colorful and playful style was the heart behind this look in the 12 Days of Christmas Tabletops series. 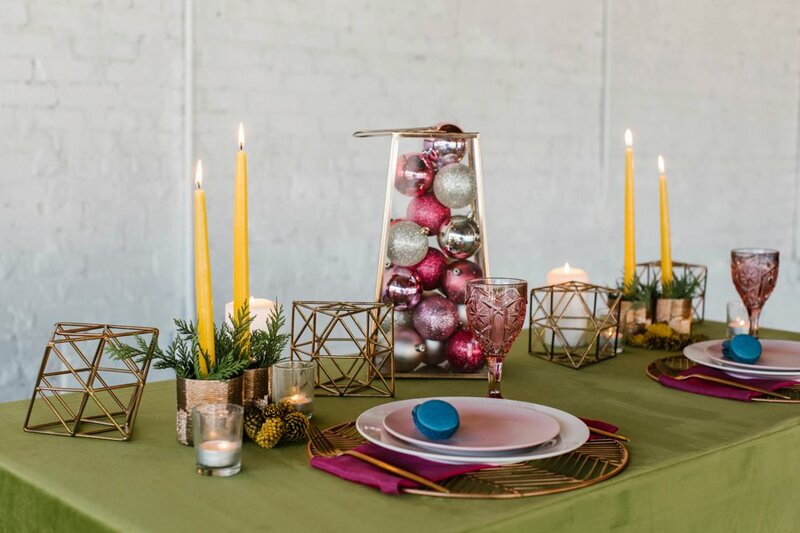 Bold pops of color, shimmering ornaments, and an elegant upgrade to child-like details. 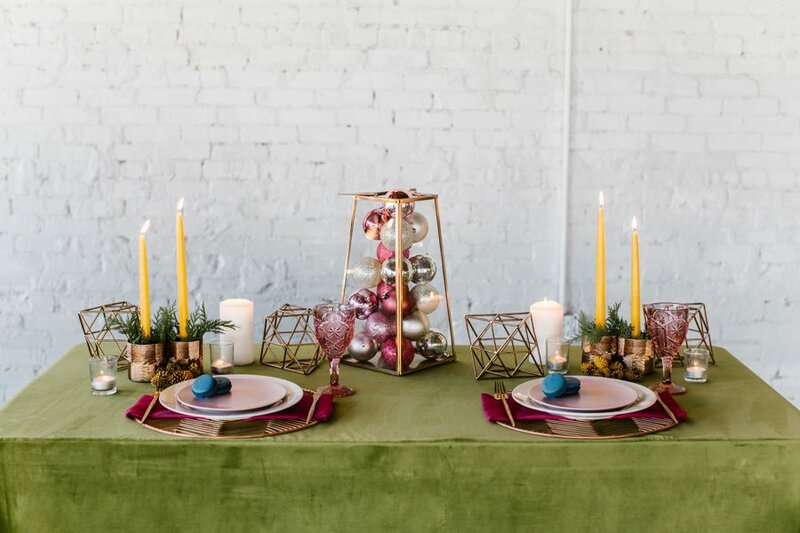 Playing off the “V” formation in flight patterns of geese, Ashton Events and Treasury Rentals played with geometric shapes within the design as they hit the mark with today’s 6 Geese a Laying theme. 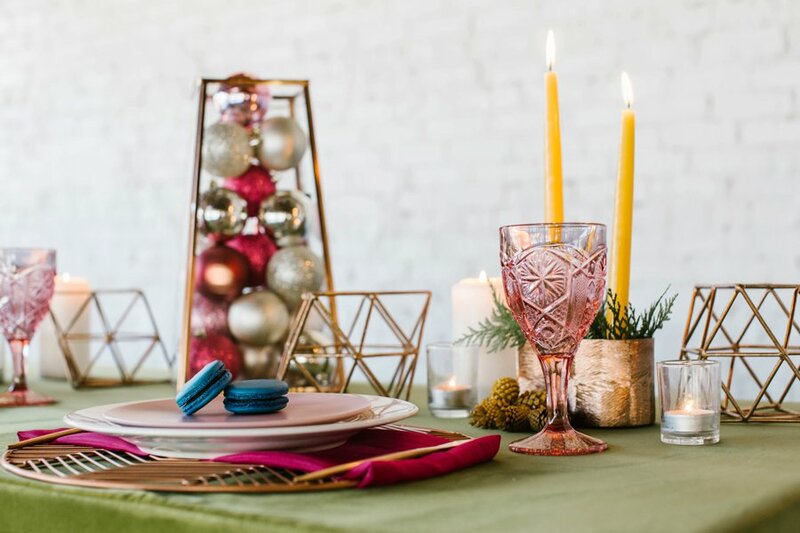 Make sure you catch the details of this cheerful design captured by Jenna Nicole Photography.